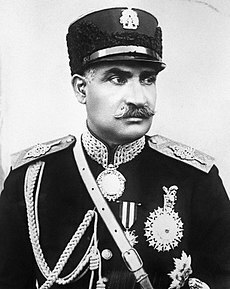 Reza Shah Pahlavi (Persian : رضا شاه پهلوی‎; pronounced [reˈzɑː ˈʃɑːhe pæhlæˈviː] ; 15 March 1878 – 26 July 1944), commonly known as Reza Shah, was the Shah of Iran from 15 December 1925 until he was forced to abdicate by the Anglo-Soviet invasion of Iran on 16 September 1941. Seyyed Zia'eddin Tabatabaee was an Iranian politician and the Prime Minister of Iran (Persia) from February to May 1921 under Ahmad Shah, the last Shah of the Qajar dynasty. Reza Shah Pahlavi was born in the village of Alasht in Savadkuh County, Mazandaran Province, in 1878, to Major Abbas-Ali Khan and Noush-Afarin. His mother was a Muslim immigrant from Georgia (then part of the Russian Empire),   whose family had emigrated to mainland Persia (Iran) after Qajar Empire was forced to cede all of its territories in the Caucasus following the Russo-Persian Wars several decades prior to Reza Shah's birth. His father was commissioned in the 7th Savadkuh Regiment, and served in the Anglo-Persian War in 1856. Abbas-Ali died suddenly on 26 November 1878, when Reza was barely 8 months old. Upon his father's death, Reza and his mother moved to her brother's house in Tehran. She remarried in 1879 and left Reza to the care of his uncle. In 1882, his uncle in turn sent Reza to a family friend, Vartan Gorguekoohi, an officer in the Persian army. When Rezā was sixteen years old, he joined the Persian Cossack Brigade. In 1903, he is reported to have been guard and servant to the Dutch consul general Frits Knobel. Reza was 25 years old then. Vsevolod Starosselsky was a Russian military officer of Russian and Georgian noble background, known for his role in the aftermath of the Persian Constitutional Revolution as a commander of the Persian Cossack Brigade from 1918 to 1920. The Nishan-e Aqdas was an Imperial Iranian Order founded in 1870 by the Qajar Shah of Iran Nassereddin. There were three classes, with two different styles for Iranians (Sardar) and foreigners (Nishan). 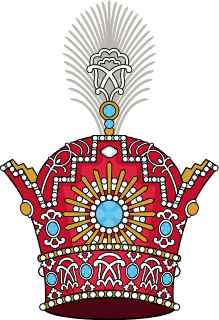 The Order was dissolved upon the collapse of the Qajar dynasty. In the Western world, Persia (or its cognates) was historically the common name for Iran in the Western countries. In 1935, Reza Shah asked foreign delegates and League of Nations to use the term Iran ("Land of the Aryans"), the endonym of the country, used by its native people, in formal correspondence. Since then, in the Western World, the use of the word "Iran" has become more common. This also changed the usage of the names for the Iranian nationality, and the common adjective for citizens of Iran changed from Persian to Iranian. In 1959, the government of Shah Mohammad Reza Pahlavi, Reza Shah Pahlavi's son, announced that both "Persia" and "Iran" could officially be used interchangeably. Persian is the name of one of the ethnic groups of Iran, Persia (locally known as Pars) is the name of one of Iran's significant cultural provinces and the Persian language  Although (internally) the country had been referred to as Iran throughout much of its history since the Sasanian Empire, many countries including the English-speaking world knew the country as Persia, a legacy of the Greeks who referred to the entire country after the province of Pars. 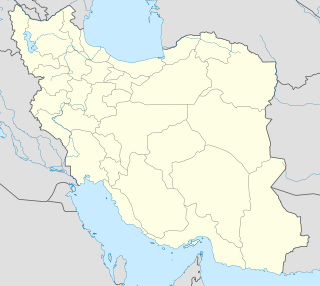 While Persians are only one of several ethnic groups in Iran, their home province Pars was a center of political power in ancient times under the Achaemenid Empire and Sasanian Empire as well as other Iranian dynasties, hence the somewhat misleading usage of the name Persia (in other countries) up to 1935 when referring to Iran as a whole. This photograph's inscription reads: His Imperial Majesty –Reza Shah Pahlavi –Shahanshah of Iran –With the Best Wishes –Berlin, 12 March 1936 – Adolf Hitler . 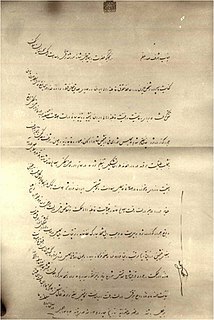 On 21 March 1935, he issued a decree asking foreign delegates to use the term Iran in formal correspondence, in accordance with the fact that Persia was a term used for a country identified as Iran in the Persian language. It was, however, attributed more to the Iranian people than others, particularly the language. Opponents[ who? ] claimed that this act brought cultural damage to the country and separated Iran from its past in the West (see Iran naming dispute). The name Iran means "Land of the Aryans". Like his son after him, his life in exile was short. After Great Britain and the Soviet Union invaded and occupied Iran on 25 August 1941, the British offered to keep his family in power if Reza Shah agreed to a life of exile. Reza Shah abdicated and the British forces quickly took him and his children to Mauritius,  then to Durban, thence Johannesburg, South Africa, where according to his British captors, he died on 26 July 1944 of a heart ailment about which he had been complaining for many years. His personal doctor had boosted the King's morale in exile by telling him that he was suffering from chronic indigestion and not heart ailment. He lived on a diet of plain rice and boiled chicken in the last years of his life. He was sixty-six years old at the time of his death. After his death, his body was carried to Egypt, where it was embalmed and kept at the royal Al Rifa'i Mosque in Cairo, (also the future burial place of his son, the exiled Mohammad Reza Pahlavi). 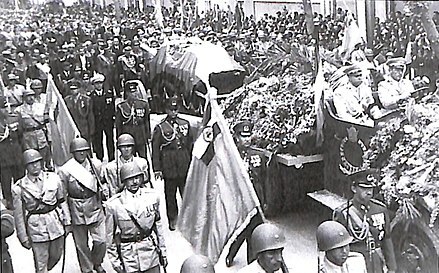 In May 1950, the remains were flown back to Iran,  where the embalming was removed, and buried in a mausoleum built in his honor in the town of Ray, in the southern suburbs of the capital, Tehran. Satellite map The Iranian parliament (Majlis) later designated the title "the Great" to be added to his name. On 14 January 1979, shortly before the Iranian Revolution, the remains were moved back to Egypt and buried in the Al Rifa'i Mosque in Cairo. However, in a recent documentary "From Tehran to Cairo," his daughter-in-law, Empress Farah claimed that the remains of the late Reza Shah remain in the town of Rey. Mirza Hasan Ashtiani, commonly known by the bestowed title Mostowfi ol-Mamalek was an Iranian politician who served as Prime Minister on six occasions from 1910 to 1927. Lieutenant-General Amanollah Jahanbani was a member of the Qajar dynasty and a senior general of Reza Shah Pahlavi. Yeprem Khan, born Yeprem Davidian, was an Iranian-Armenian revolutionary leader and a leading figure in the Constitutional Revolution of Iran. He is considered a national hero in Iran. Hossein Fardoust was a childhood friend of the last Shah of Iran, Mohammad Reza Pahlavi, and served for ten years as deputy head of SAVAK, the powerful Iranian intelligence agency. Revival Party or Modernity Party was a secular progressive political party in Persia/Iran during 1920s. The party had also liberal and nationalist tendencies and supported Reza Khan and helped him become the new Shah of Iran while holding majority in the parliament. Mohammad Ebrahim Mirza Amirteymour Kalali, also known as Sardar Nosrat, was a prominent Iranian statesman and aristocrat. 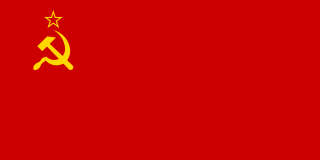 The elections for the sixth Majlis ended on 27 June 1926. ↑ Milani, Abbas The Shah, London: Macmillan 2011 pages 22-23. ↑ Gholam Reza Afkhami (27 October 2008). The Life and Times of the Shah. University of California Press. p. 4. ISBN 978-0-520-25328-5 . Retrieved 2 November 2012. ↑ Zirinsky, Michael P. (1992). "Imperial power and dictatorship: Britain and the rise of Reza Shah, 1921-1926". International Journal of Middle East Studies. 24: 639–663. doi:10.1017/s0020743800022388 . Retrieved 2 November 2012. ↑ Nahai, Gina B. (2000). Cry of the Peacock. New York: Simon and Schuster. p. 180. ISBN 0-7434-0337-1 . Retrieved 31 October 2010. ↑ John Stanton, "Iran's Reza Pahlavi: A Puppet of the US and Israel? Archived 12 August 2006 at the Wayback Machine ". ↑ "Obituary: Ayatollah Sadeq Khalkhali Archived 14 October 2006 at the Wayback Machine –Hardline cleric known as the "hanging judge" of Iran", Adel Darwish, The Independent , 29 November 2003. Wikimedia Commons has media related to Reza Shah .